As winter crops start to disappear and we enter longer and warmer days, the world of spring eating comes alive. Yet we also enter the hungry gap, the UK’s dip in growing organic fruit and vegetables, but there are lots of homegrown talents still for the taking. The UK’s hungry gap is a few weeks after winter crops have ended and before the new season’s organic veg is ready for harvest. It’s a quaint concept now with 24hr supermarkets where seasonality hardly exists, but it’s an issue for British farmers where the cold UK winters aren’t optimal for growing. Traditionally, the gap meant a diet of cabbage, potatoes and preserved fruit from previous seasons, and back in the day it was a far more serious issue – when there was a real risk of people going hungry. While today’s global imports help secure a steady supply of fresh produce, people are increasingly taking a mindful approach and buying local organic veg to support farmers and reduce their carbon footprint. It certainly brings an awareness that food supply is temporary and fragile. That said, while it’s a lean time on UK farms, there are some seasonal treats you won’t want to miss out on. Trendy kale has actually been in vogue since wartime Britain, as back then it had - and still does have - the ability to reduce the impact of the hungry gap. Full of nutrients, it has a mild flavour but shines in any dish such as salads, or when thrown into peasant-style soups and stews. For a quick side dish, lightly fry it with some oil, garlic and sesame seeds. Wild garlic is one of the most foraged wild foods, as it’s a native to British woodlands, and likely to be in your local forest. Becky Marshall from Riverford forages fresh garlic from the woods around their Devon farm. “They are glossy, juicy, and pungent with a milder flavour than the dried bulbs”, she says, “it makes fabulous pesto - delicious thrown through pasta, swirled through soups and stews or served as a condiment to baked potatoes or a perfectly roast chicken.” But the season is short, so get down to the woods today. Just make sure you’ve correctly identified it, you can read more here. 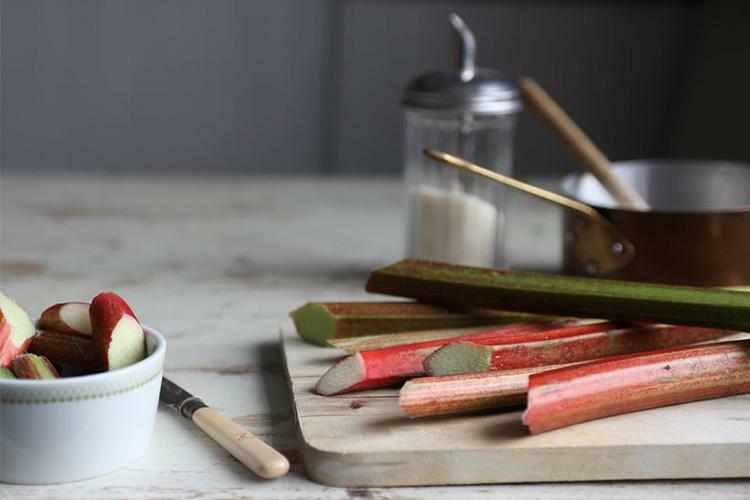 Rhubarb is a seasonal star and quintessential English garden staple. Its electric pink stalks attract crowds at farmers markets, often selling out when it makes its first appearance. Intensely tart, the stalks are best baked and work well with savoury dishes like oily fish too. Or simply stew, store in the fridge, and add daily to porridge/yoghurt/smoothies. It’s important to note that the leaves of rhubarb are poisonous, so stick to the stalks! The attractive cousin to regular broccoli - purple tones, slender longer stems, more tender - purple sprouting works well with salads, sides and pasta dishes. 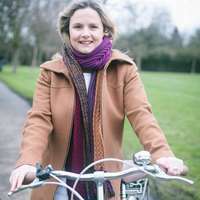 Devon farm Riverford’s Becky Marshall has seen it enjoy a renaissance over the last few years, and it’s a welcome supply for the hungry gap. Marshall likes to boil, steam or stir-fry for a quick dish, or roast or griddle to intensify the flavour. Others like to dip its spears into soft-boiled eggs. Enjoy the new season of tasty produce and don’t forget to choose organic veg – after all, it’s been grown in a way that works with nature, using fewer pesticides on land that’s home to more wildlife. Just look for the EU green leaf logo.